June 18th is Fathers Day in the UK and in previous years we have given Daddy a picture book as a gift. We’ve already written a blogpost about some of our favourite picture book fathers but there are so many more that we’ve written another which includes some more recently published picture book dads. Daddy’s Sandwich by Pip Jones and Laura Hughes: Ruby decides to make a sandwich filled with all Daddy’s favourite things. She includes some amazing ingredients but we like her final ingredient the best! Daddy’s Little Star by Janet Bingham and Rosalind Beardshaw: Daddy and Little Fox discuss how high the sky is. We love the way that Daddy Fox patiently helps Little Fox’s answer his own questions and makes learning fun! 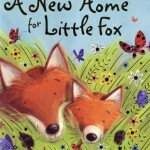 A New Home for Little Fox by Janet Bingham and Rosalind Beardshaw: Daddy and Little Fox discuss animal habitats in this story which provides the perfect backdrop for young readers to learn about animal homes too! School for Dads by Adam & Charlotte Guillain and Ada Grey: What happens when a child needs to teach his /her father how to behave? We love this role reversal story which turns a familiar school situation on its head – the fathers go back to school to be taught by their own children! I Want My Daddy! by Tracey Corderoy and Alison Edgson: I Want My Daddy! portrays a wonderful relationship between a father and his son. Daddy is always there when his son, Arthur, needs his help whether it’s castle building or needing a hug! 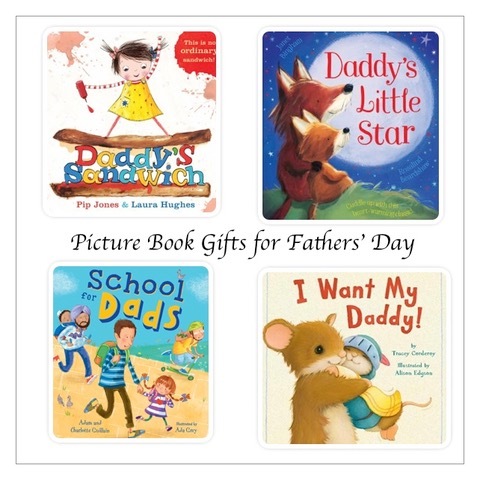 Do you give picture book gifts for Fathers Day? 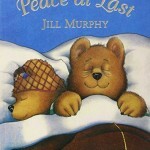 Which picture books would you add to our list? Thank you for including both of my Little Fox books, Catherine. Sadly, it’s a bit hard to find ‘A New Home for Little Fox’ these days, but copies of the new edition of ‘Daddy’s Little Star’ are ready to hop off the shelves. There’s another lovely daddy in ‘Keep Love in Your Heart, Little One’, by Giles Andreae and Clara Vulliamy. Happy Father’s Day! Thank you for the Keep Love in Your Heart suggestion. The book’s cover is gorgeous. What a lovely idea! Sadly my husband is SO uninterested in books that I can’t get my head round it. Apparently books are ‘boring’. How is that even possible?! Oh my goodness. I can’t understand anybody who finds books boring. I’m sure that there’s a book for everybody out there! Do you have a favourite Daddy book? School for Dads is a great story 🙂 I love reading children’s books too, there are some great books to choose from. There are several I Love My Daddy picture books. We gave the Sebastien Braun book but I know there is also I Love My Daddy by Giles Andreae.